Runners! Come to the shores of the Susquehanna River in downtown Havre de Grace to Kick-Off “Pirate Weekend”. 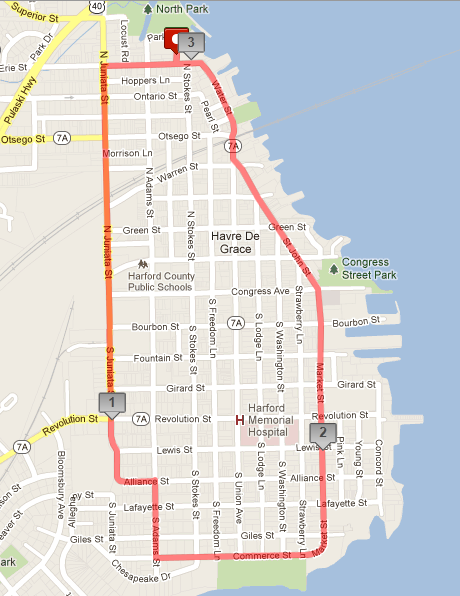 Run a flat and beautiful course along the Lafayette Trail, full of waterfront views and historic landmarks. Plenty of age group awards and special prizes. 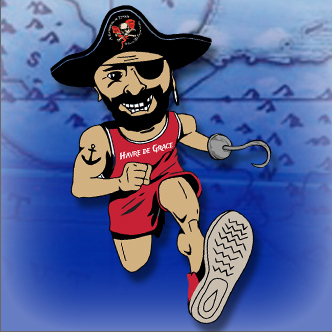 The 8th Annual Pirate 5K benefits the Susquehanna Museum at the Lock House, a national historic landmark dating back to 1840. Top men’s and women’s pirate costumes! Technical T-shirts and swag bags will be given to the participants who register by May 31 (sizes and availability not guaranteed after May 31). Course marshals at major turns, and water, sports drink, and snacks at the finish line. Packets will be available Thursday, June 8th and Friday, June 9th from 5-8 PM at the Lock House. Packets will also be available Saturday morning starting at 7 AM.